The Amex Assurance Health Insurance Company review is a review of Assurant Health. 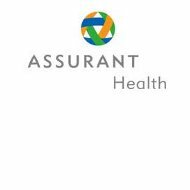 Assurant Health is the brand name for the Assurant Insurance Company’s line of healthcare products. The four main divisions of Assurant Insurance are Assurant Solutions, Assurant Health, Assurant Employee Benefits, and Assurant Specialty Property. Begin your search for the best health insurance rates today with our free online tool. Just enter your zip code in the box above to begin your search now! Assurant Insurance is a publicly held company and is traded on the New York Stock Exchange with the label AIZ. It had more than $25 billion in assets at the end of the 2010 fiscal year and has an annual revenue of $8 billion. Toll free phone number: 1-800-800-1212. Assurant Health has two other main office locations. Toll free phone number: 1-800-429-6762. The Assurant Health website also offers a convenient online inquiry form. To request information, the form requires a name, email address, city and state, phone number, optional policy number, and a space to ask a question or give a suggestion or comment. A career with Assurant Health also comes with a competitive salary, incentives, and recognition rewards. An Assurant Health career means joining a company with close to 2,000 employees and a history of steady growth since 1892. The president and CEO of Assurant Health is Adam Lamnin. He has held these positions since early 2011. Before holding these titles, he was the executive vice president and COO. With almost twenty years experience as a specialty insurance executive, Lamnin was previously the executive vice president and CFO of Assurant Solutions and Assurant Specialty Property. Additionally, he was also the head of sales finance, consumer finance, and mortgage services business units for American Bankers before it was acquired by Fortis. He is a certified public accountant and holds a degree in accounting from the University of Florida. The senior vice president of product and marketing for Assurant Health is Scott Krienke. Krienke oversees the growth and development of the Assurant Health product lines. He has been with Assurant Health since 1984 and served previously as the vice president of human resources and vice president of claims and customer service. Additionally, Krienke led the development of the health savings account and medical savings account products. Before joining the Assurant Health team he was employed by the Northwestern National Insurance Company. Krienke holds a degree from Marquette University, and is on the Board of Pathfinders. The senior vice president and executive sales officer of Assurant Health is Mike Norderhaug. He has been with Assurant Health for 17 years, previously holding the titles of regional sales vice president and managing general agent. Before joining the Assurant Health team, he was with Lutheran Brotherhood for 13 years. He has earned the insurance industry-specific designations of ChFC and CLU. The types of insurance products that Assurant Health offers are varied. These insurance products include limited benefit health insurance, major medical insurance, dental insurance, and supplemental insurance. Assurant Health also offers health insurance programs for small businesses. Use our free online tool today to see a side-by-side health insurance quote comparison. Enter your zip code now!